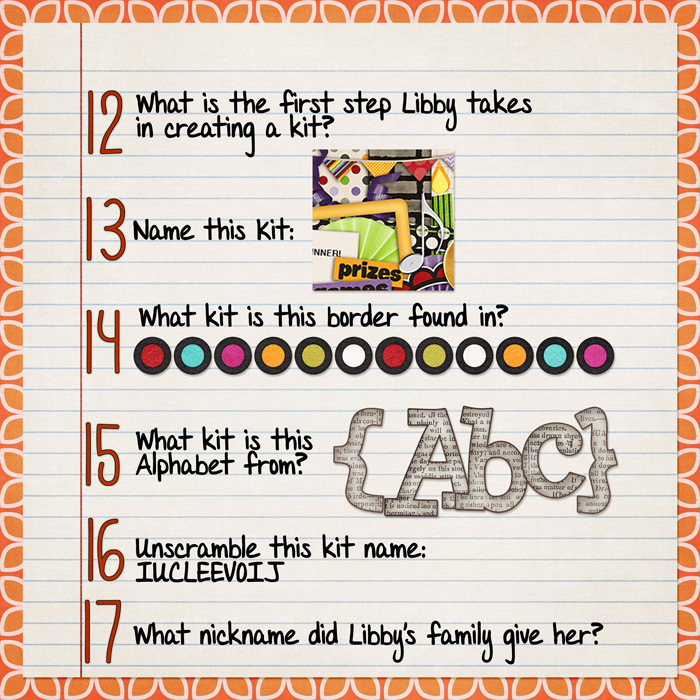 Today, my sweet CT member Rachel has created this fun little trivia game! You can find all of the answers by looking through my shoppe and reading the interview questions from my Featured Designer spot at Sweet Shoppe last month! 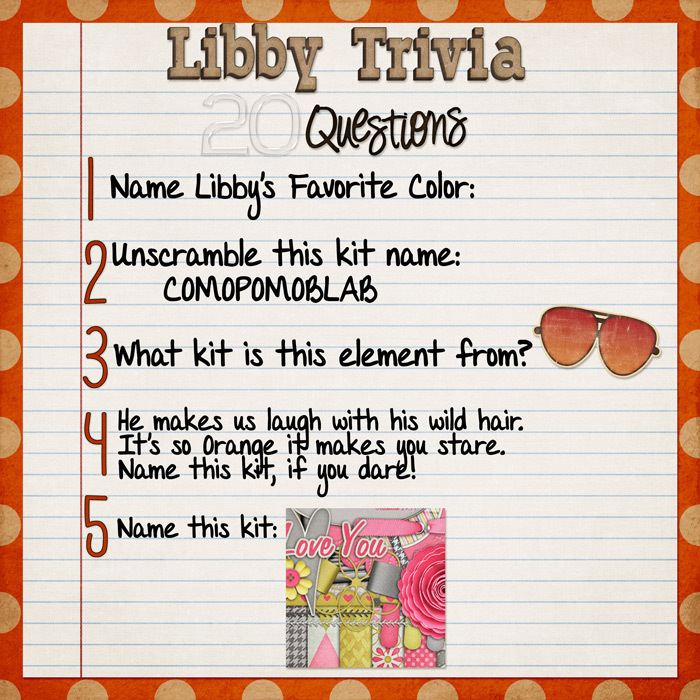 Simply email your answers to libbyloucrew@gmail.com by Saturday night at 11:59pm CST with the subject line "Libby Trivia". I'll be choosing 2 lucky winners from all the correct answers to get a $10 coupon to my store. Winners will be notified by 7/10/12. Think you know the answers? Get those guesses in! 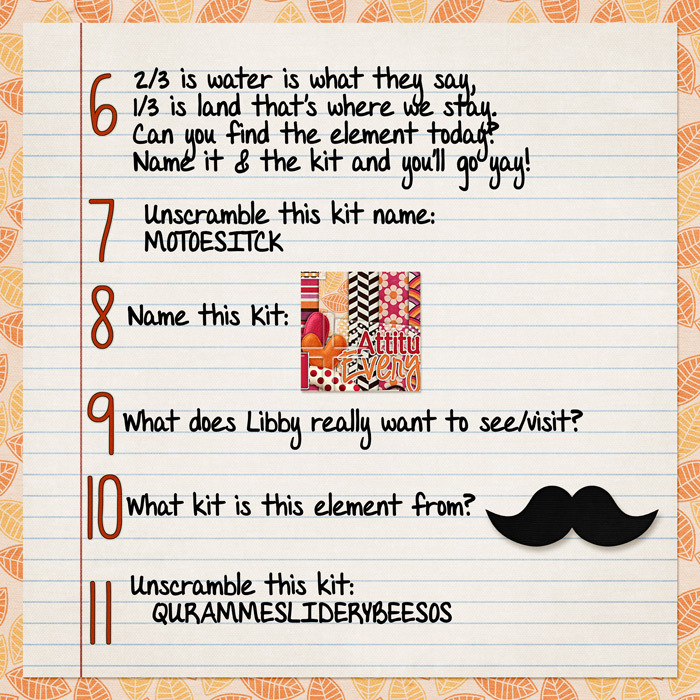 And don't forget to be gathering your inspiration ideas for our Day 1 Contest, too! Looks like fun!! 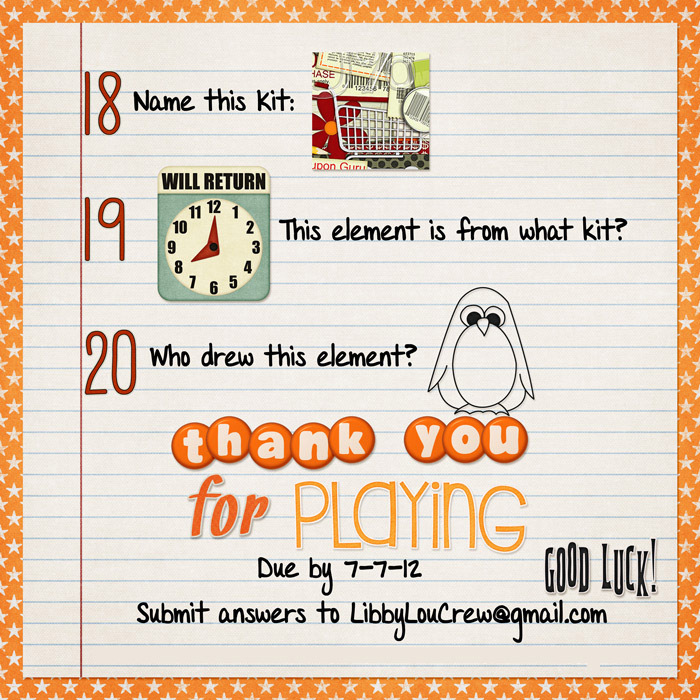 Those unscramble the kit name questions always throw me off... :) Good luck all!